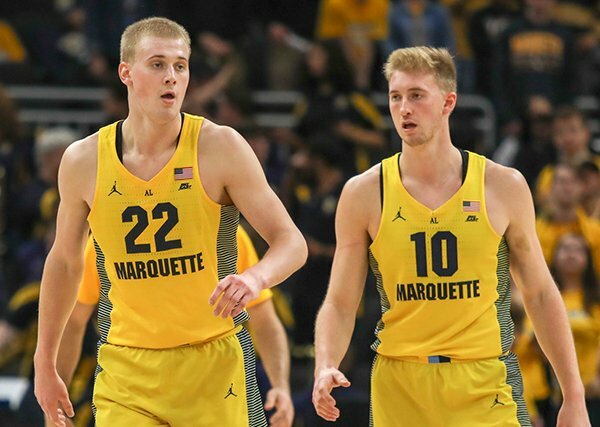 According to a CBS Sports report, Sam and Joey Hauser, who announced on April 15th that they are leaving Marquette, will visit four schools who are in the running for their services moving forward. The brothers are planning visits to Wisconsin, Iowa, Michigan State and Virginia. Iowa is the fourth school in the mix. Hawkeyes coach Fran McCaffrey recruited Joey in high school. The younger Hauser also played AAU ball with Hawkeyes sophomore Joe Wieskamp. Both Hausers have to sit out next season, per NCAA transfer rules. Sam would have one year of eligibility left. Joey would have two years and possibly a third if an NCAA waiver is granted. Marquette’s Joey Hauser has been named the Big East Conference freshman of the week for the second straight week and fourth time this season. Hauser averaged 17.5 points and 5.5 rebounds in a pair of Golden Eagle victories. He connected on 8-of-12 shots from 3-point range and was 9-of-10 from the foul line. 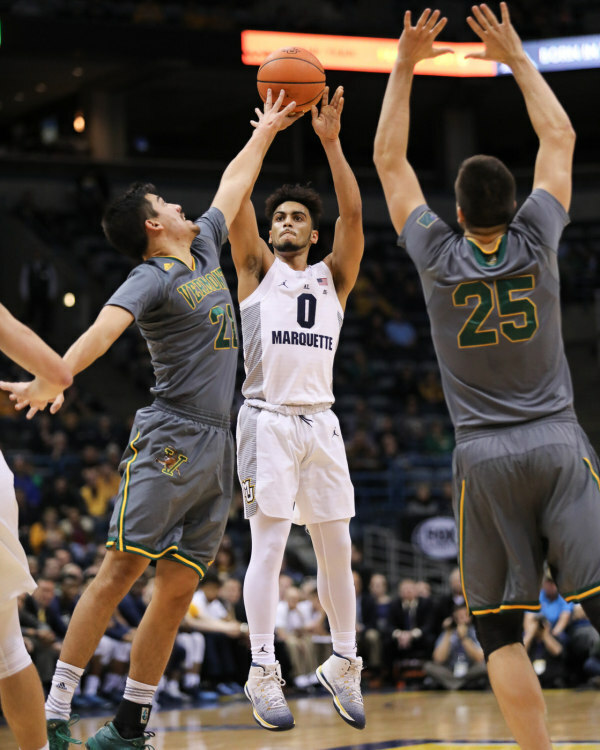 Hauser scored a collegiate high 21 points, including 5-of-6 from beyond the arc in a 87-82 win over Xavier. 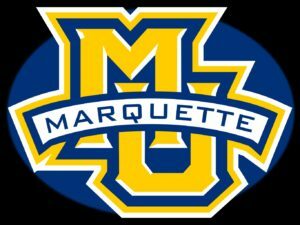 The Marquette Golden Eagles lost their Big East Conference opener, falling 89-69 to the St. John’s Red Storm on Tuesday night in New York. Shamorie Ponds scored 20 of his 26 points in the first half as St. John’s (13-1, 1-1 Big East) rebounded from its first loss of the season earlier. Marvin Clark II added 22 points and Mustapha Heron added all 16 for the Red Storm. 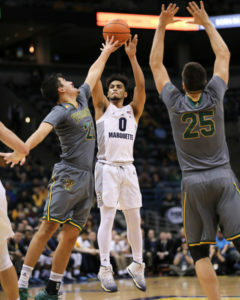 The Big East’s leading scorer, Markus Howard, was held to eight points on 2-of-15 shooting. 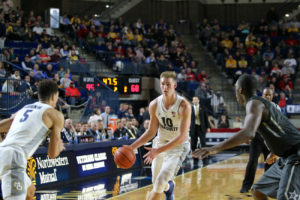 Howard entered the game averaging 25.1 points a game, which led the Big East and ranked fifth in the country. 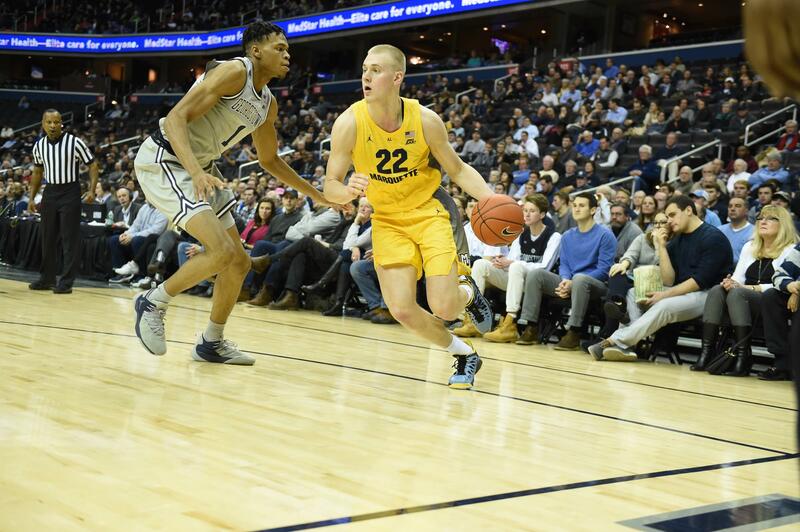 Freshman Joey Hauser had 15 points to lead Marquette. 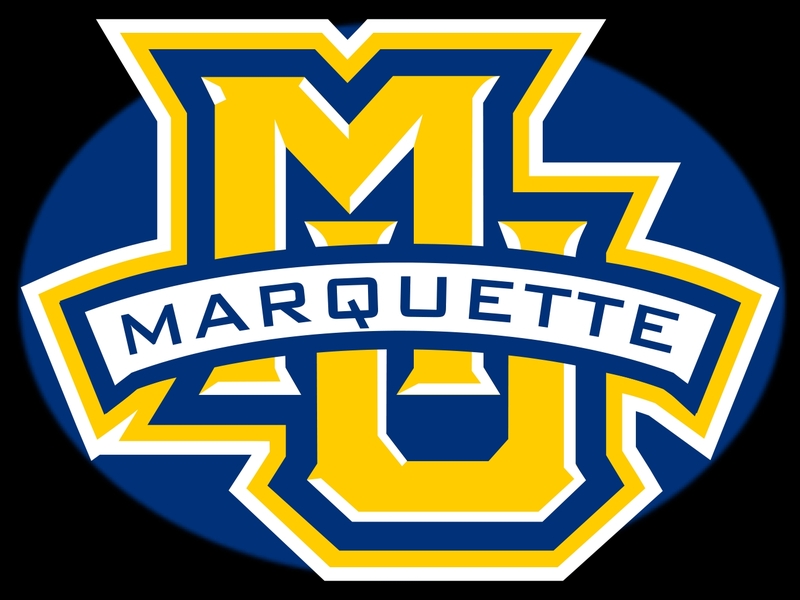 Marquette (11-3, 0-1) has non-conference wins over Louisville, Kansas State, Wisconsin and Buffalo, but all three of their losses have come on the road, falling to Indiana, Kansas and St. John’s. The Golden Eagles return home to Milwaukee and will host Xavier in their Big East home opener at Fiserv Forum on Sunday. 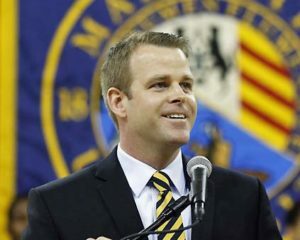 Steve Wojciechowski and the Marquette men’s basketball program landed the state’s top 2018 recruit in Stevens Point’s 6’8 forward Joey Hauser. 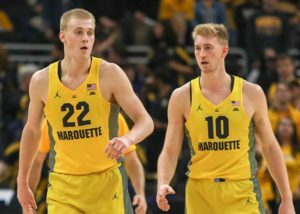 It means Joey will join his older brother Sam on the Marquette roster starting next season. Joey Hauser officially signed his National Letter of Intent on Wednesday. He’s joined by Brendan Bailey from American Fork (Utah) High School. Bailey officially signed in 2016 but is on a two-year Mormon mission in Washington D.C.
Joey Hauser led Stevens Point to three straight WIAA Division 1 championships. He averaged 23.6 points, 11.5 rebounds and 5.1 assists a game last season as a junior. Joey’s brother Sam averaged 8.8 points a game as a freshman with the Golden Eagles last season.